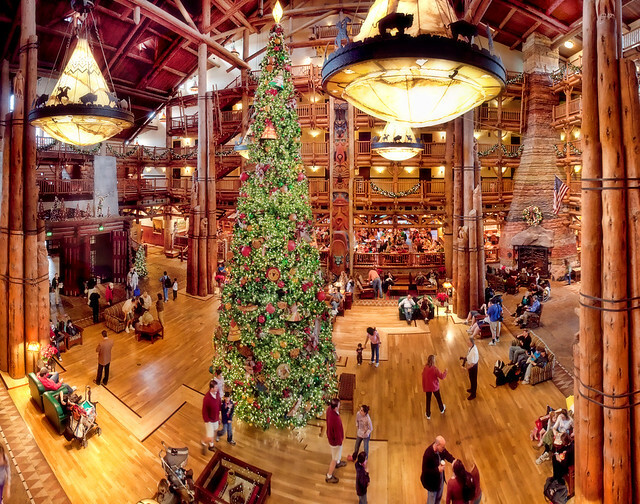 I shot this panorama of the Disney's Wilderness Lodge lobby in 2010 with my Tamron 18-270mm lens before I owned a wide angle lens. 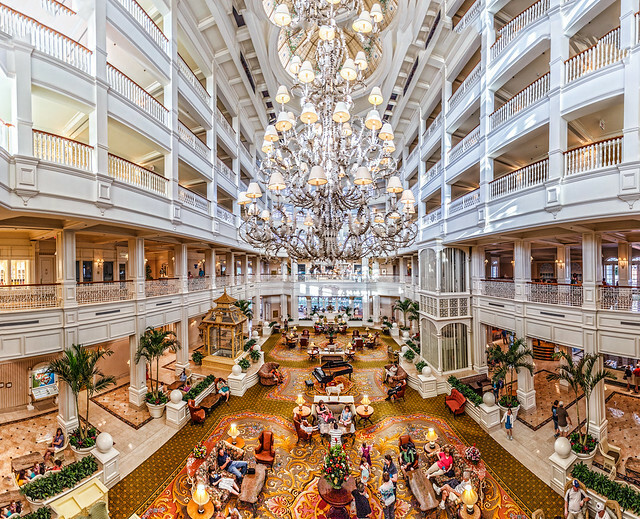 Another extreme wide view, taken of the Grand Floridian lobby at Walt Disney World with my 17-40. 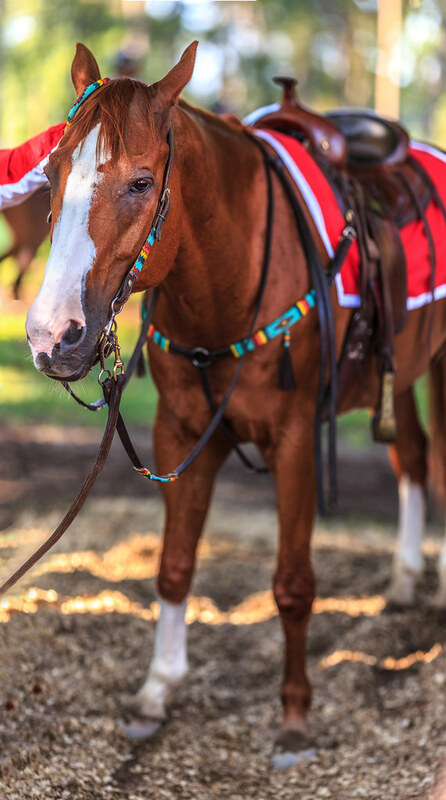 This pony at the back stretch of the Saratoga Race Course was so still, I took a three shot panorama so I wouldn't have to change lenses, and I could render the depth of field shallower. 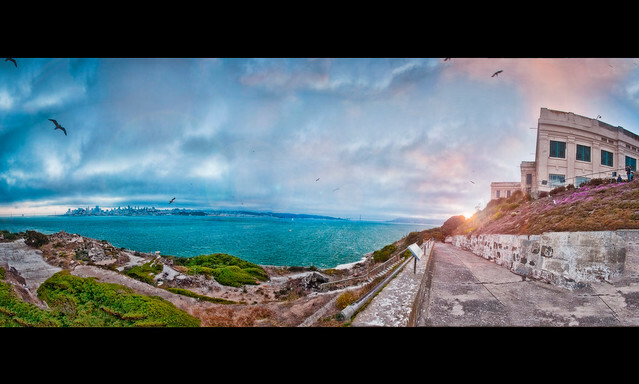 This panorama shows San Francisco at a distance from the edge of Alcatraz Island. 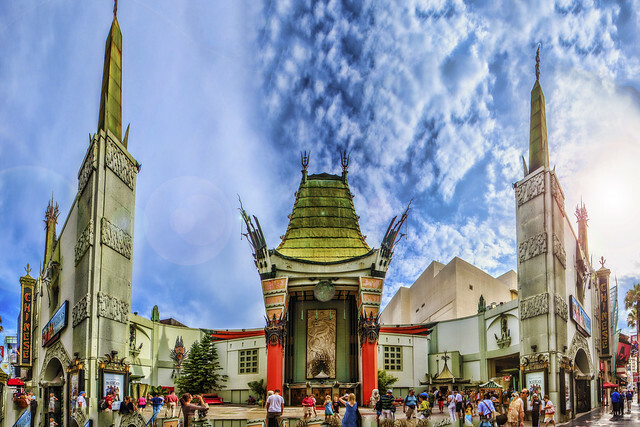 When I was without my wide angle lens, I shot this wonky panorama of Grauman's Chinese Theater with my 17-55. A simple panorama of the view from St. Paul's Cathedral, 2009. A sunset panorama of Lake Tahoe, which was featured in my video Northern California Dreamin'. 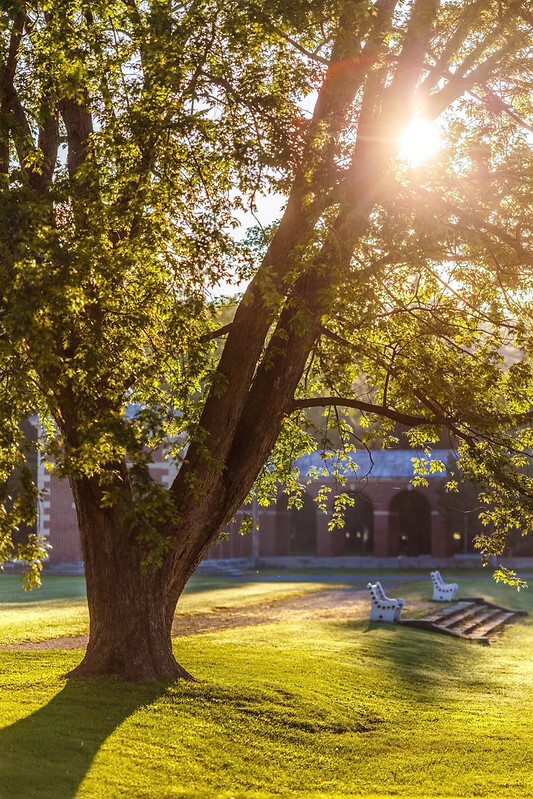 A two or three shot panorama featuring a tree at Saratoga Spa State Park above and an arcade at the same park below subtly made the depth of field shallower. 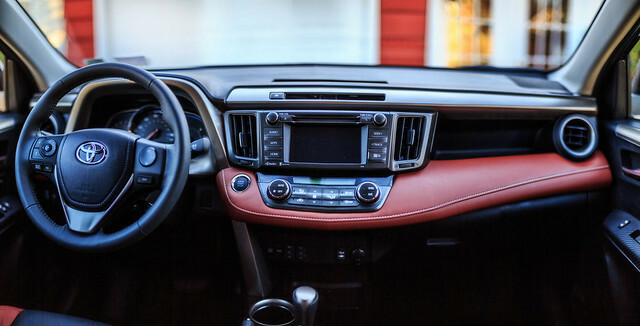 This two shot panorama of the inside of my car also helped me use a longer lens for shallow depth of field. 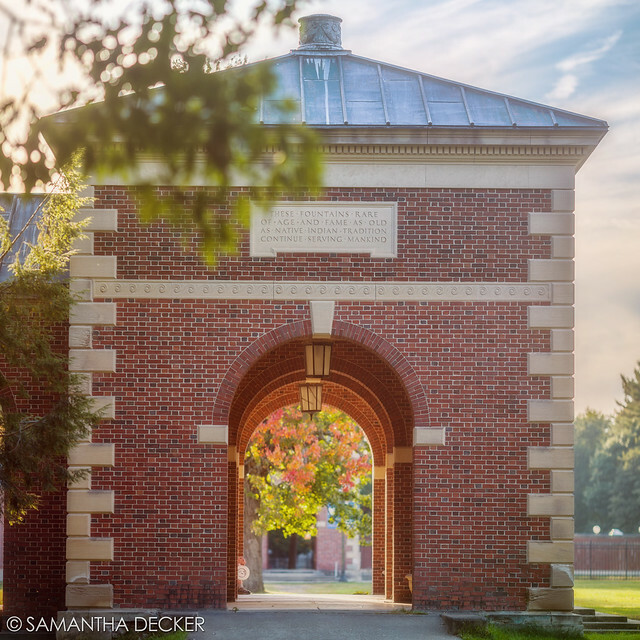 My workflow for panoramas is pretty basic. 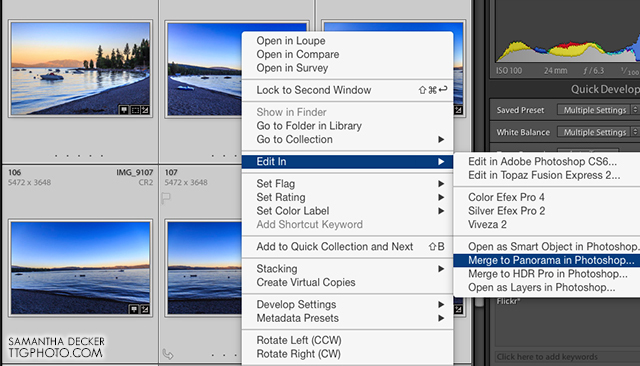 I select the images I want to use, then select them all and make any adjustments I want in Lightroom (subsequently syncing the changes) before merging them into a panorama in Photoshop. After cropping or making other minor fixes, I'm ready to save the file.